Have you noticed that for some time now Google have been gradually adding more and more links to their homepage? This is typical ‘Feature creep‘ and unfortunately happens a lot. Feature creep is when “extra features go beyond the basic function of the product and so can result in over-complication, or “featuritis”, rather than simple, design” (wikipaedia). Google became the best search engine because of it’s simplicity. Think about it…what do you users really need on a search engine site? Strip it right back and all they actually need is a search box to type in and a button to press to get the results. They aren’t distracted by unnecessary clutter. They have one aim and they can perform it efficiently and effectively, achieving greater satisfaction. Disappointing hey? The once simple site has become crowded with links. Doesn’t it feel good? Very very simple. The cursor is positioned inside the search box so all the user needs to do is type and hit the return key or the search button. However, what about all the other features? Surely some of them were useful? Yes they were. Now for the clever part…. if the mouse is moved even slightly all the extra features fade in (via a nice transition). They are there if the user needs them. 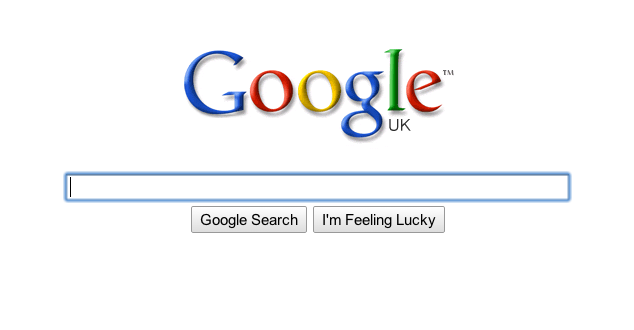 If the user wants to quickly search it is most likely they are poised ready to type as soon as the google page loads up. By positioning the cursor inside the search box, there is no need to touch the mouse. Users going to Google primarily to search have an excellent experience. Simple, fast and effective. Users going to Google to do anything other than search will be used to having to use their mouse. Their existing mental model involves using the mouse. They may be slightly surprised upon seeing the new screen, but one tiny movement and the hidden features appear. The new design provides a good fit between the interaction style of the user and the site behaviour. I’ve noticed it as well… really like it, so much in fact I’m writing an article about it :). I do agree with your opinion and it is nice to see that google is constantly testing new features to improve the interface so people would use the search more efficiently. Great post. I agree that the entry point to a search needs to be squeaky clean and it’s good that Google are still aware of that too. However, I think there’s still a bad case of featuritis with the way they’re displaying search results, arguably more important to the user experience than the initial search. I have been wondering about that google feature creep for a long time; I like the solution they finally implemented, at least on the entry page. That could be a worthwhile topic–how to recover from stages of acute featuritis or bloat.